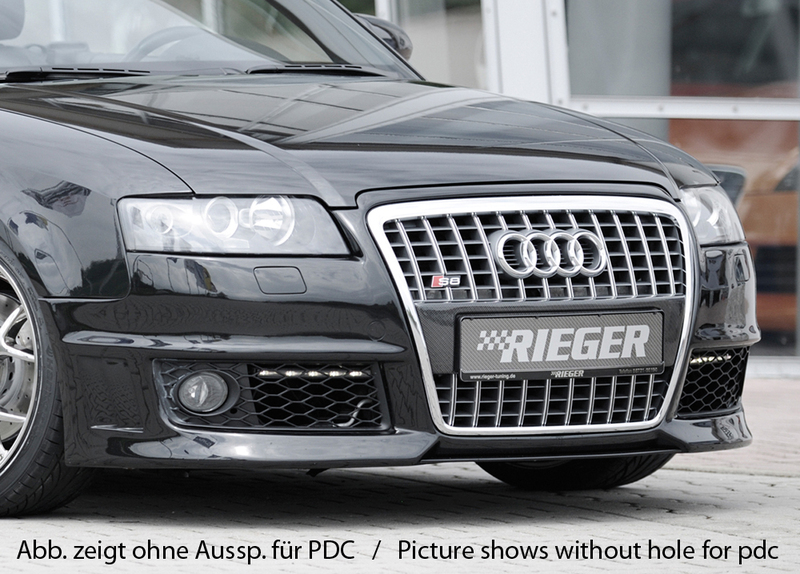 Air inlet grilles 00298550 and 00298551 are required for assembly. 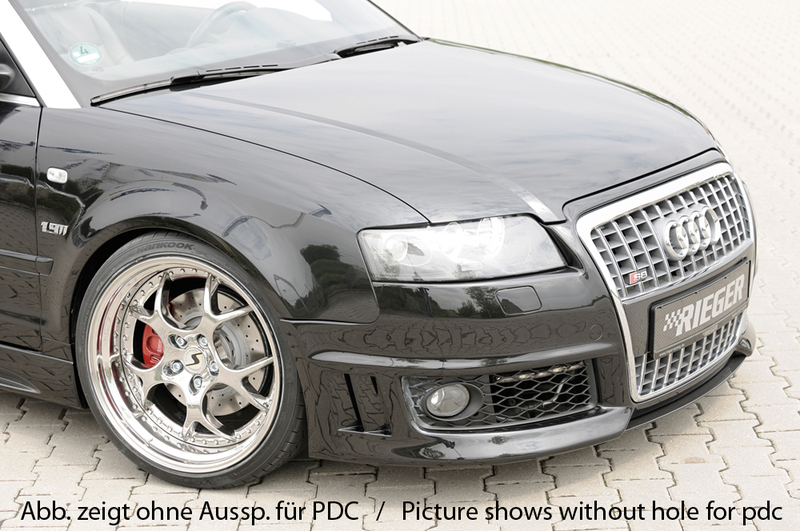 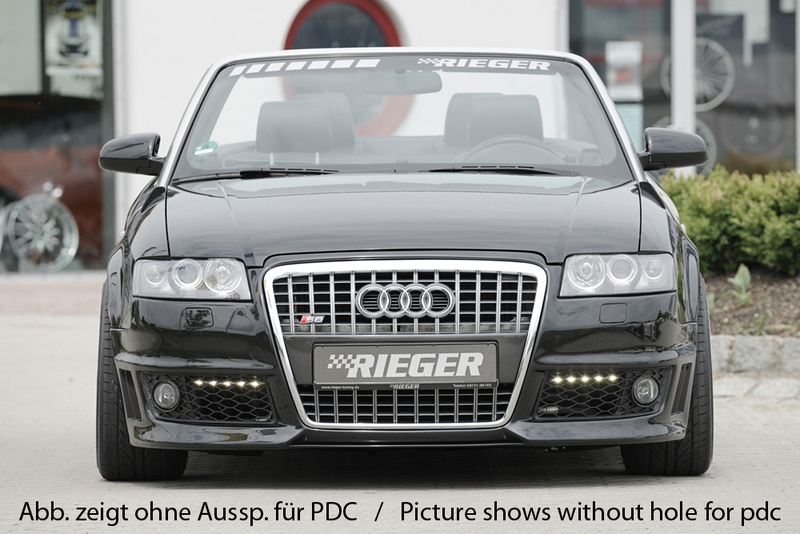 Front bumper for Audi A4 2,5 TDI only fit after modification of fog lights and intercooler. 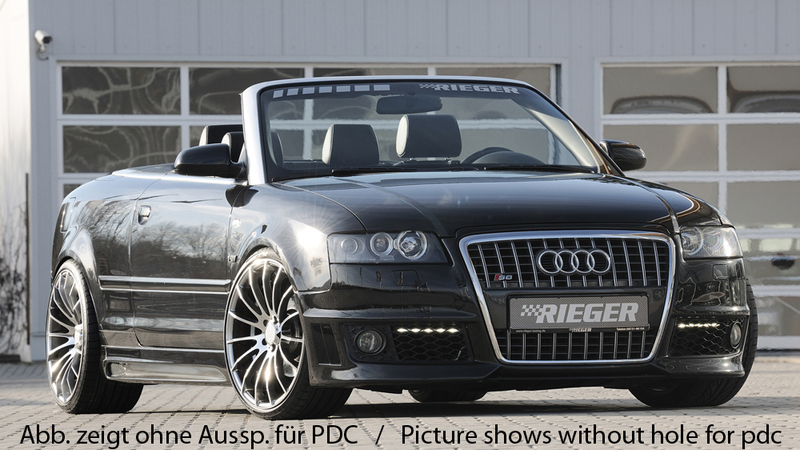 Front bumper does not fit the S4 Cabrio.